This was one of those throw-togethers that came about as a way to use up a few bits and pieces that were hanging around in the fridge and in or on various assorted cupboards and shelves, and generally threatening to outstay their welcome. 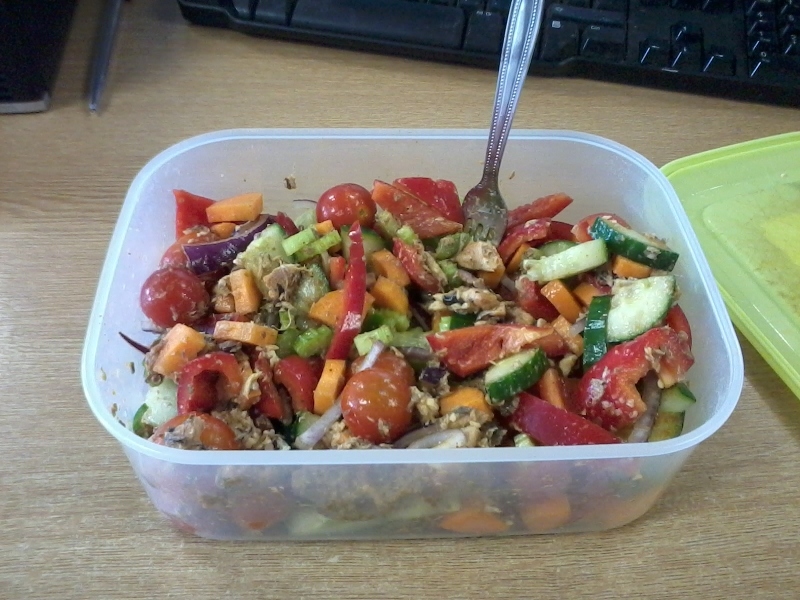 It made for an excellent speedy lunch, but would work just as well as a supper. 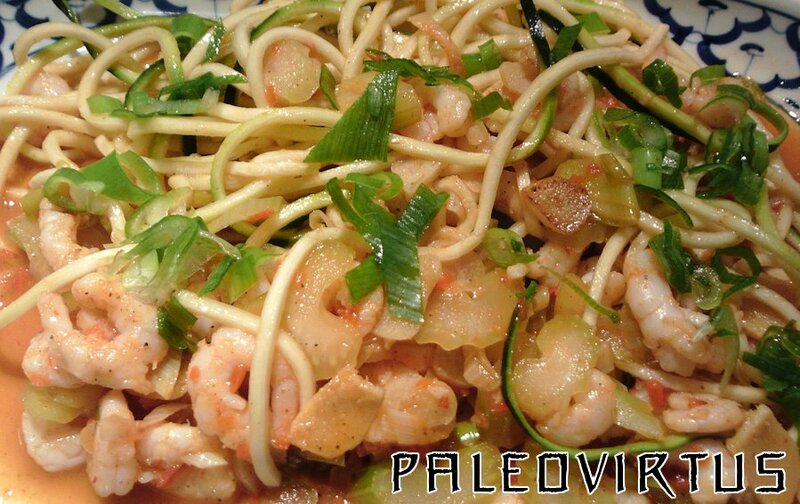 This entry was posted in Food Diary, Recipes and tagged chilli, Chinese, hot, noodles, paleo, prawns, recipe, sweet and sour, zucchini on October 3, 2014 by paleovirtus. Another day, another fish based salad type concoction for dinner. It’s quick, easy, damn tasty, and Paleo – what more do you, neigh, could you, want…? It doesn’t get a lot better than that, now does it….? 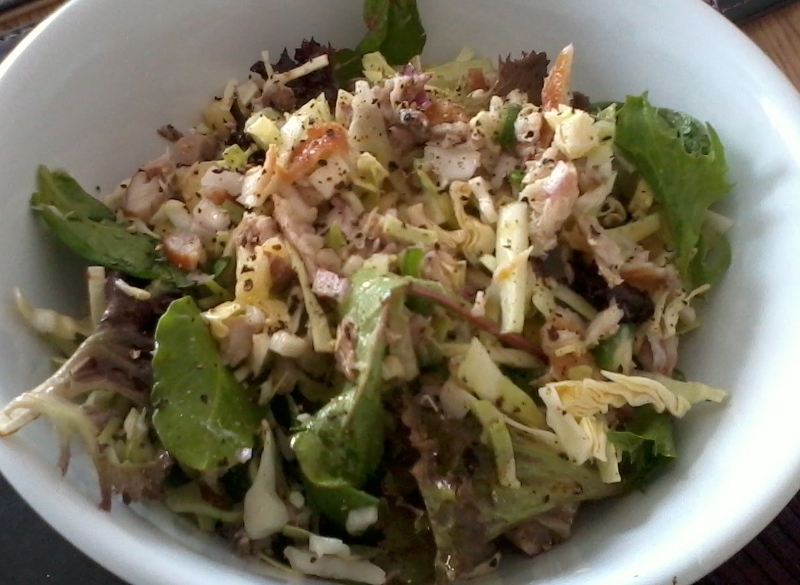 This entry was posted in Food Diary, Recipes and tagged baby spinach, black pepper, chilli, dinner, lemon juice, mackerel, paleo, pineapple, red onion, salad, sesame oil, sweetheart cabbage on July 17, 2014 by paleovirtus.